2015 is coming to a close and the New Year is just hours away. Want join me and have a little fun on Instagram? You never know what you'll be "sew prompted" to make/do/share/say! Where did this idea come from? A few months ago I was debating hosting a swap and wanted to make it really different. I didn't want it to be a 'standard' mini quilt swap as there were already so many going on at the time. The swap ended up being a quilted banner that was a particular size and we challenged participants to incorporate at least one really different item: driftwood, feather, leather, yarn, etc. You can see many of the "out of the box" banners that were made for the swap on IG with hashtag #banneradventureswap. It was so fun to see swappers getting really creative and the feedback was often the same - they loved how unique it was and how it allowed them to get crazy. That got me thinking about other ways to really stretch my sewing and think more outside of the box and act on that prompting more often. I thought about doing a photo prompt - you know those ones you've seen on IG over the past few years. I've seen tons and have tried to keep up with a few of them - but I find it's too hard to do daily when I'm really busy with deadlines and such. Some participants are able to keep up the daily prompts and stay consistent, and some if not many, fall off midway - like me. Well, instead of a daily prompt, I decided to make it a weekly prompt. By doing it weekly, it gives anyone that wants to participate time throughout the week to post something. The best part?... (I think) is I have asked various friends/designers to play along and be the ones selecting the word each week to keep us on our toes. I asked them to pick a word...a color, tool, method, pattern, goal, challenge, or anything they wanted as the prompt. Once you know the word, you can post a photo inspired by that prompt if you want. 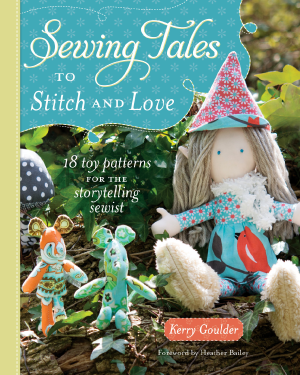 It might be something you sew, make, do, a collection, stash, space, etc. What ever the word of the week inspires - capture it in a photo and share it on IG. We'll be using the hashtag #sewprompted2016 and each Monday is when the new word is released. I will tag the designer on my IG feed for the week and they will post their word. 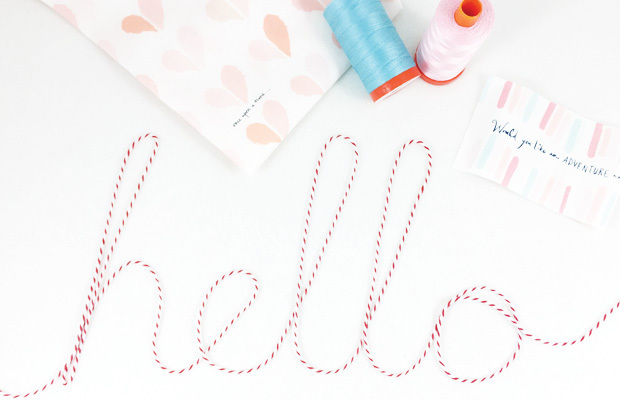 It will be sewing themed for the most part (hence the hashtag "sew prompted") but can also be any type of crafty, creative medium in general - stretching ourselves in different ways. The first word starts next week...If you'd like to participate - please introduce yourself and use the tag #sewprompted2016 so we can all say hello. Thanks so much for joining in - I'm so excited to see how this unfolds throughout the year! If you want to sign up for my emails - you can do so by clicking the link below. 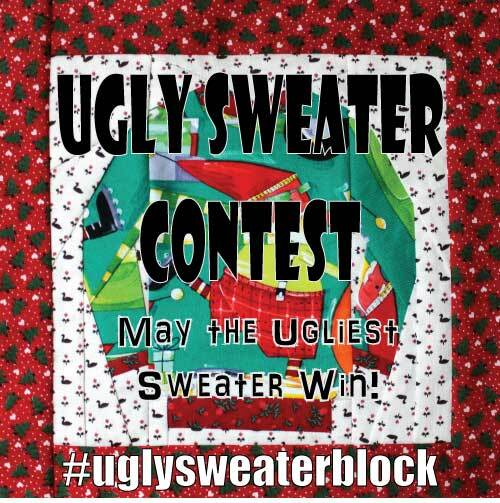 Yes - there's an "Ugly Sweater Contest"....here's the full story....After seeing tons of pics on IG, ads on TV commercials and sweaters in every store, I felt like the Ugly Christmas Sweater trend was all the rage again, and bigger than last year. 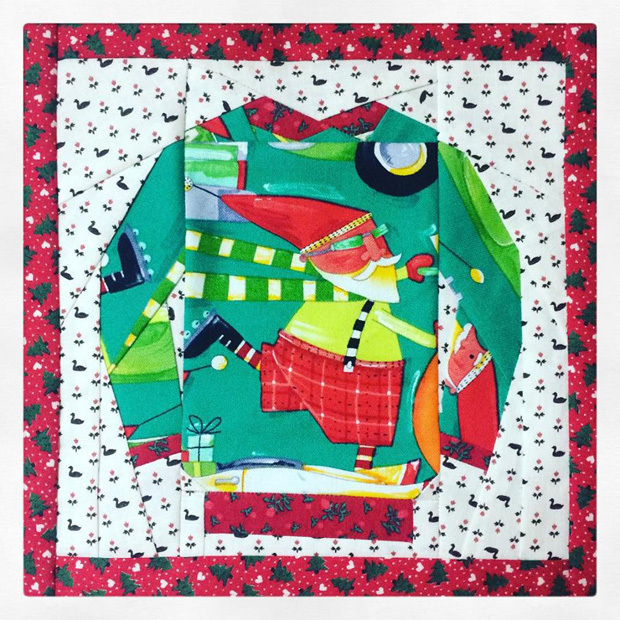 In a little flash while driving to get my girls I got this idea to make an Ugly Christmas Sweater paper piecing block for fun. The idea sat in my head for about a week until I finally had a little "me time" (not really). I whipped it up in EQ7, made this candy cane girl block really quick, took a pic and sent it out into the big wild world. I woke up the next day and saw that Heidi Kenney (from My Paper Crane) was the first to purchase the block because a mutual friend texted a pic of it. Great way to wake up in the morning right? She made this adorable Cotton and Steel Christmas tree sweater and posted it on instagram (and it was just as "not" ugly as mine). 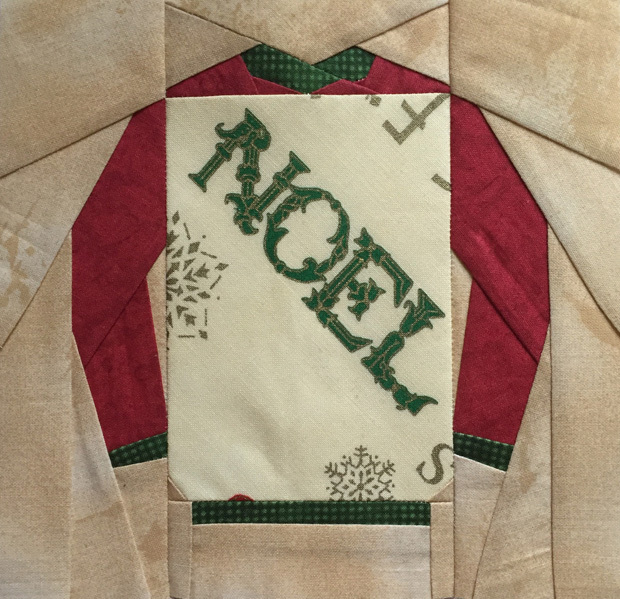 Then more people started making their own "not" ugly Christmas Sweaters...How in the world could anyone make it ugly? A few others have tried - but they are all just too cute as well as funny! Moments later she emailed me to ask if she could host an "Ugly Christmas Sweater" block contest. I was dying laughing. Um...YES! I can't get over how fun this has been and I can't wait to see all the sweater blocks...in all their "ugliness" and cuteness! If you make a block - please tag me on IG or Facebook so I can see it. 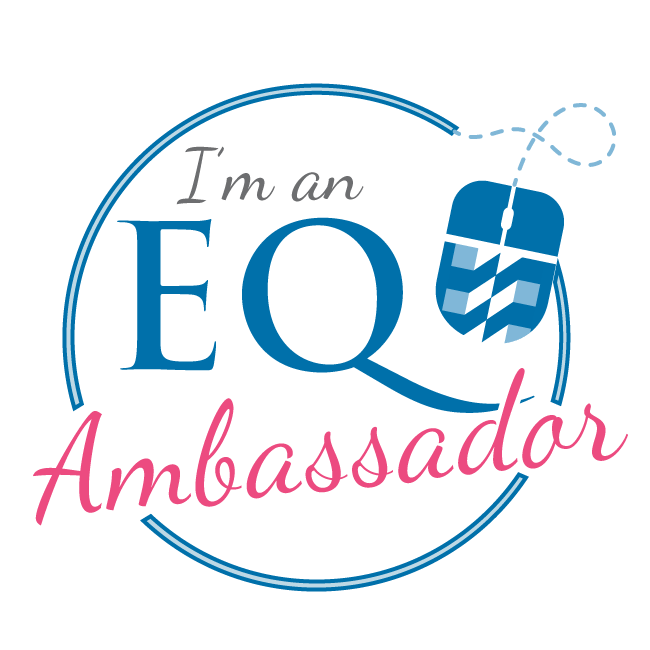 If you blog about - let me know. Maybe I will add a link to blog posts. 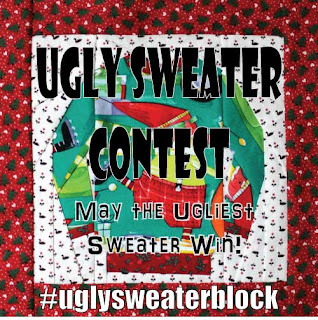 I'm using a few hashtags - #KidGiddySweaterBlock #UglyChristmasSweater and for the contest - #uglysweaterblock (#uglysweater was too popular and we'd never see them). Be sure to visit Kim's website to get all the info for the contest*. 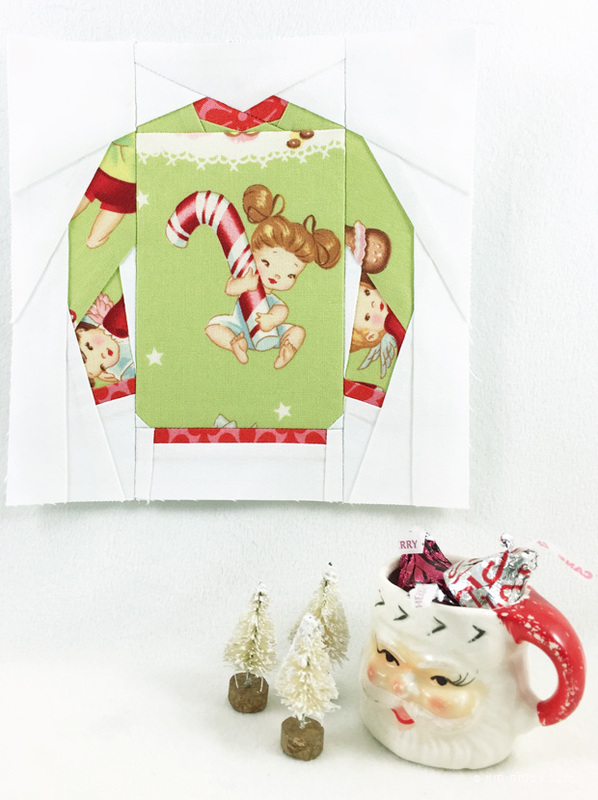 You can find the Christmas Sweater pattern in my Etsy shop and my Kid Giddy Craftsy shop as well. *Participants must purchase the pattern to enter...and I will ask that you refrain from buying the pattern and sharing it with a friend so they can enter too (I will have to ban you from purchasing my patterns if I see that happening - as I've seen this happening elsewhere). Good luck everyone - thanks so much for all the (ugly) Christmas Sweater love! Please sign up for my emails by clicking the link below. I'm back with my second (and last) block "Summer Bloom" (download the block pattern here) that I created specifically for the Janome 100 quilt blocks in 50 days, using the Cotton Couture Solids from Michael Miller fabrics. 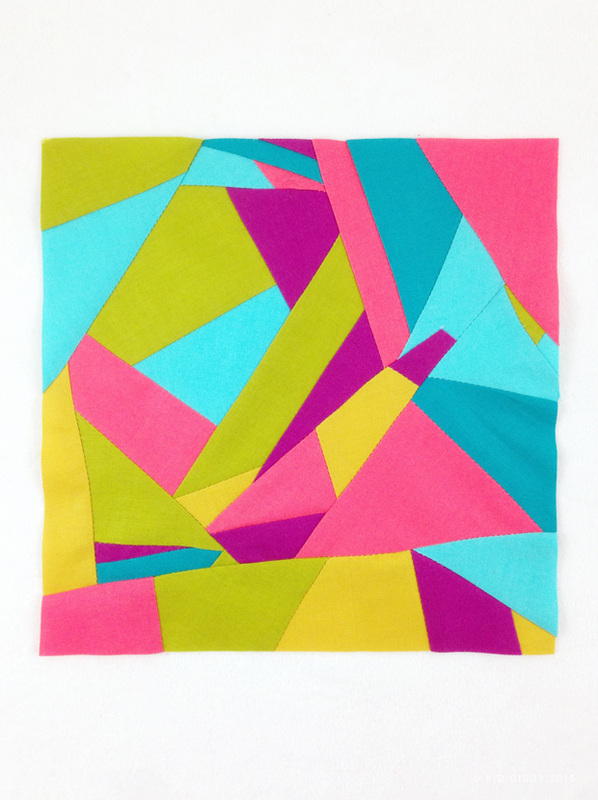 This Summer Bloom block was made just as many flowers in my yard were sprouting up, but not yet in full bloom. Aside from Summer, Spring is one of my most favorite times of year. I love all of the flowers and look forward to new blooms we've added to the landscape. I didn't have a particular flower in mind, but looking at it now, makes me think of Hostas - you know the ones the deer always eat before we see the long center flower towering above it's leaf base. Some of the points are a bit tricky - I'm sure I'll get them all next time. Here are both of my blocks together. I hope you'll enjoy both of these blocks. If you didn't see my first block "Preppy Love" (as shown above) click the link to visit the post for more info. 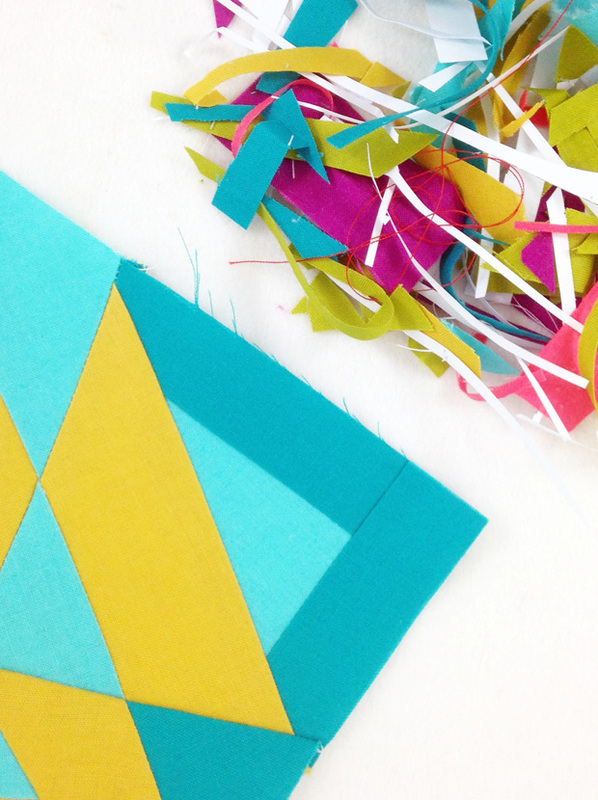 While you are creating...don't forget about all of your scraps - they matter too...Here's what I did with mine. I am going to cut this block up into 4 little blocks and put some white sashing in between them. Maybe add it to a big scrappy quilt someday. Please share your Summer Bloom and Preppy Love block variations with me on social media by tagging me on IG @kidgiddy. I'd love to see them. Don't forget to sign up for my newsletter by clicking on the link below. Have a great week. Disclosure: I was provided fabric for the making of this block but the opinions set forth are always my own. 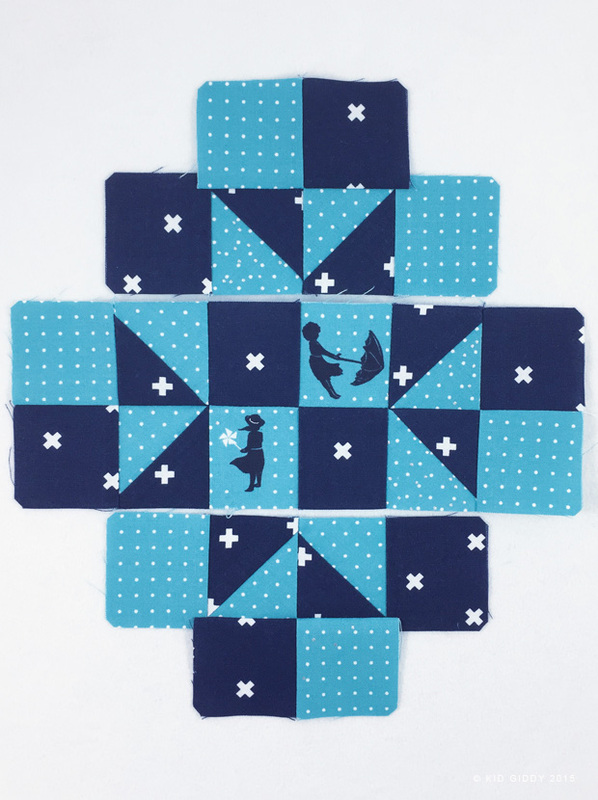 I'm so excited to be one of the bloggers for the Farmer's Wife 1930's quilt along, and so glad you came by. 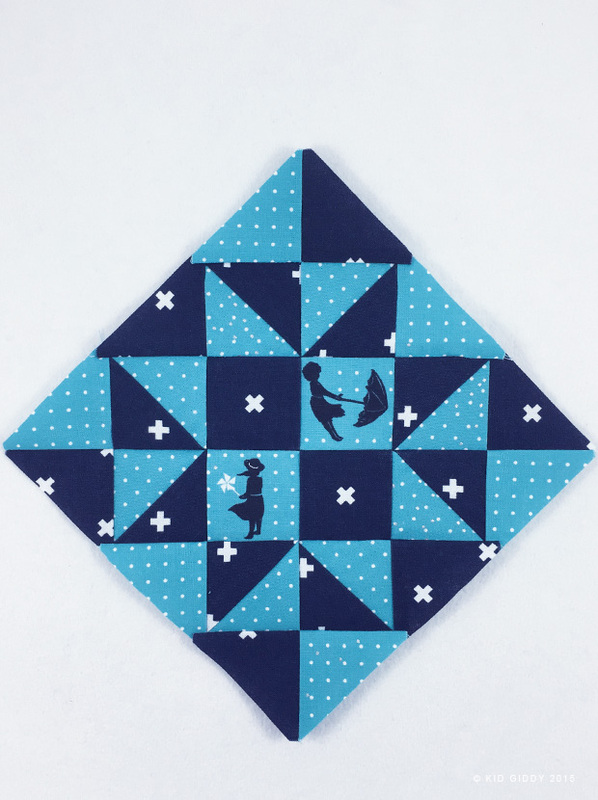 I have challenged myself to have a finished quilt by next year...so I'm not just a blogger, but I am also a participant and will be sewing all of the blocks along with you. I do have some catching up to do, but luckily Angie from Gnome Angel, has planned some down time specifically for people like me that need to play catch up during the holiday break. Thank you Angie. Being that we are in the third month, I was a little worried I wouldn't have much to share for tips, tricks or secrets on my first (#55 Malvina) block, that hasn't been done already with others. It seemed pretty straight forward with lots of half square triangles and four squares, but after much thought - I think I came up with a few things to help save time which Malvina otherwise wants to take a lot of. You will need the Farmer's Wife Book, the templates from the book - or the Marti Michell Templates Set D (D28), two different fabric selections, and liquid washable glue with a micro fine tip for glue basting (I buy mine from Cristy at Purple Daisies). You'll also need a rotary cutter, ruler, mat and iron, all of which are not pictured above with the other supplies. Start by cutting 1 1/2" strips. 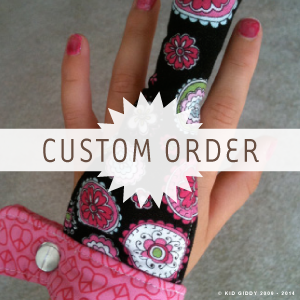 You'll need 1-2 of each print depending on the length of your fabric. I was using fabric from my fat quarter stash and needed 2 of each. Glue baste two long strips right sides together. You only need a little thin line approx 1/8" away from the edge on one strip. Flip the other strip over on top so right sides are facing, line up the edges and press with an iron to heat set the glue. 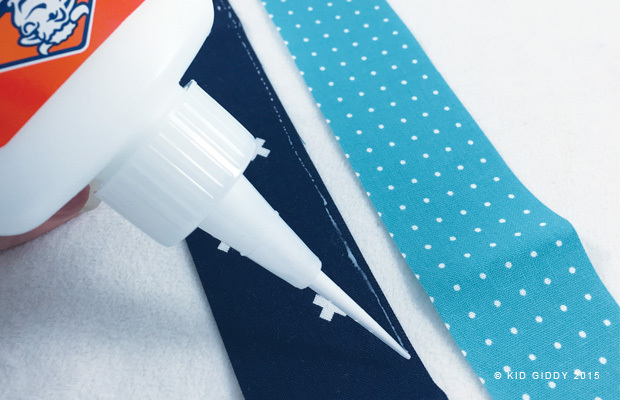 The glue will not gunk up your machine as you are using so little, it's dry, and it won't be near your 1/4" seam allowance. 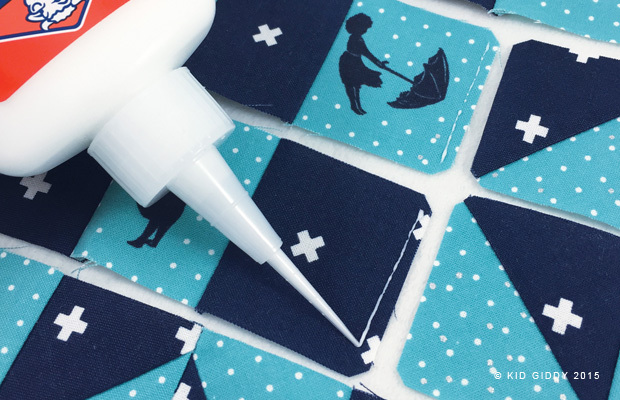 However - I make no guarantees that if you use a regular tip that comes with the washable glue and use too much, that it won't make a mess somewhere (be it on the iron, table, fabric or machine). I've been glue basting now for over a year and haven't had an issue though. 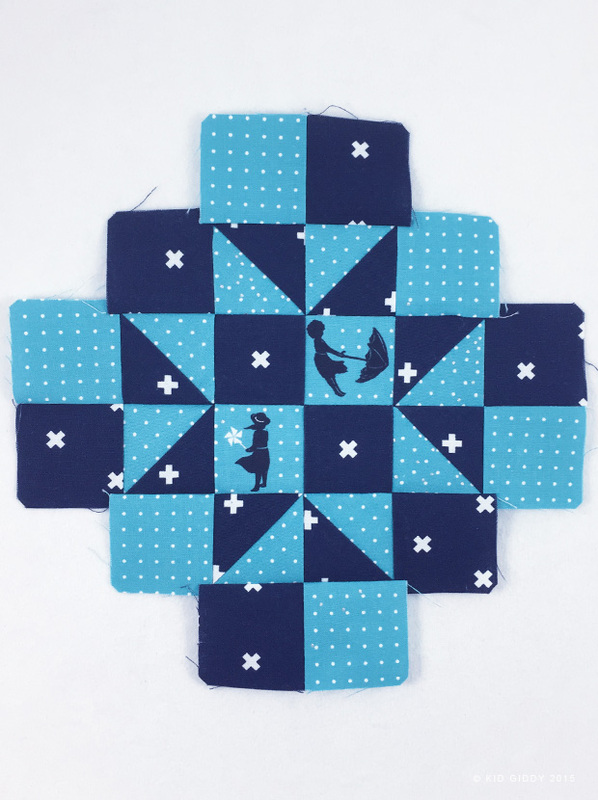 Once you have all of the half square triangle sets cut out, you will also need to cut out your four center squares, as well as 12 more squares for the end of each row. 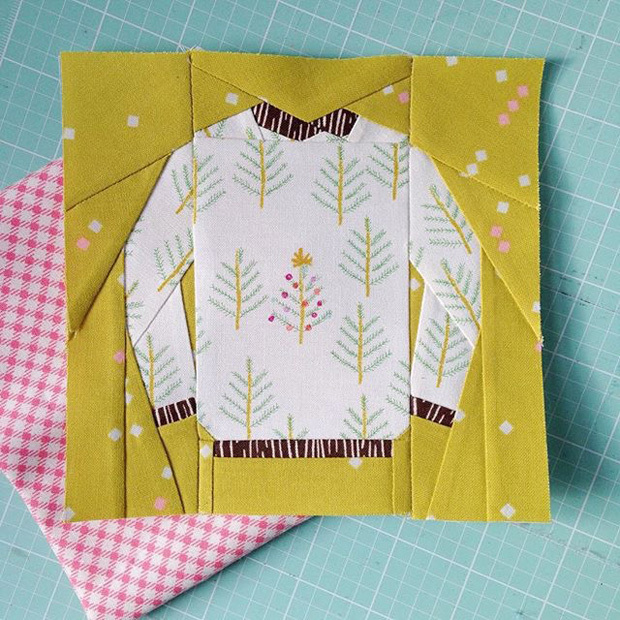 I decided to be crazy and fussy cut many pieces in my various blocks, so I didn't skimp on Malvina here. I fussy cut the four center squares as you can see above, and randomly cut my other 12. (Tip: If you really don't want to do the squares on the outside to reduce waste - you can always cut those using the B template Marti advises and continue on.) Layout your entire block and double check it or triple check it like I did before you continue on. Glue baste sets together. 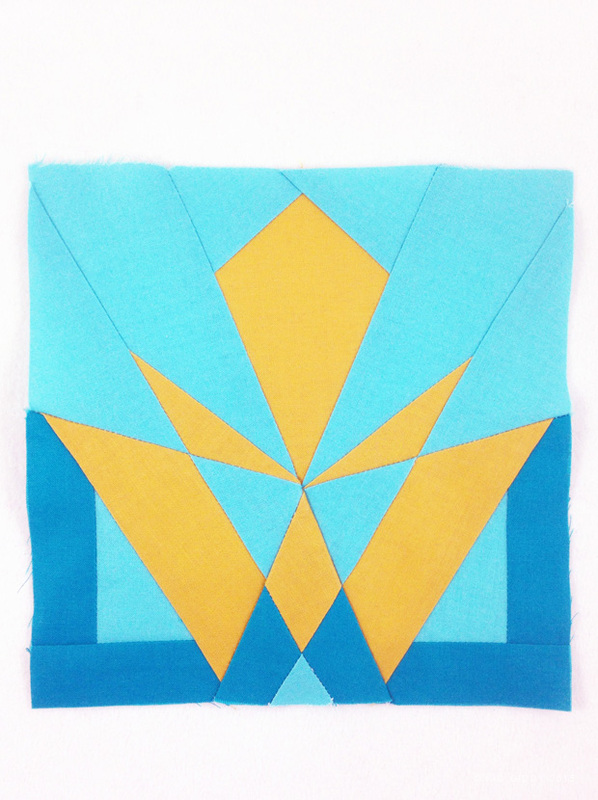 Flip one square or triangle square set to the left on top of another, to sew the right edge seam. I was glad to have my camera for this so I could reference which pieces went where. If you have an awesome set up to have everything all around you, this will be easier. If you are all scattered like me, take a picture or go line by line. The glue basting helped too, because I knew which edge to sew and not once used a seam ripper. Yay. Press all your seams and line up all your pairs. Before continuing, double check again that all your pieces are in their right place. Continue glue basting sets together so all you have left are six rows. (I went a little thick on this line and got close to my seam allowance because it's hard glue basting and taking pics at the same time - lol). Press the seams again and line them up accordingly. Flip the top row down on top of the second row, the third row on top of the fourth row, and flip up the sixth row on top of the fifth row. 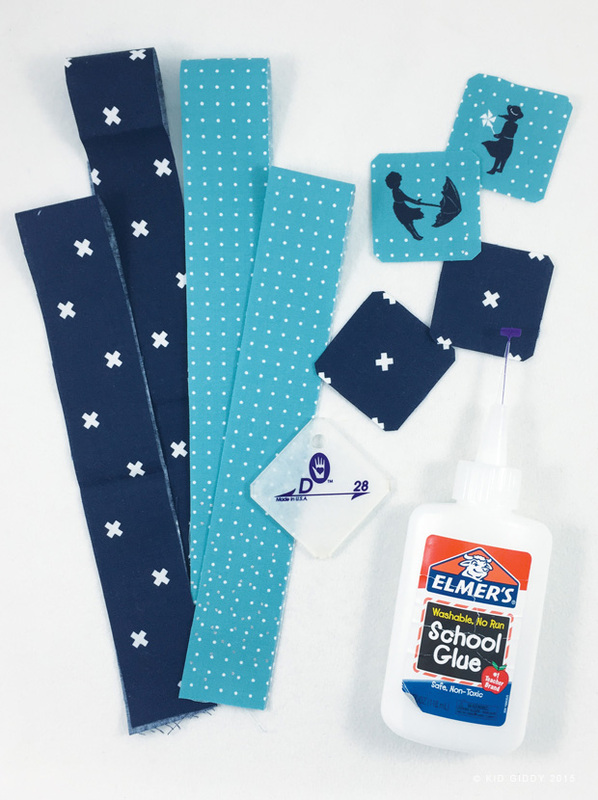 Match up your center seams whether you are glue basting or pinning. 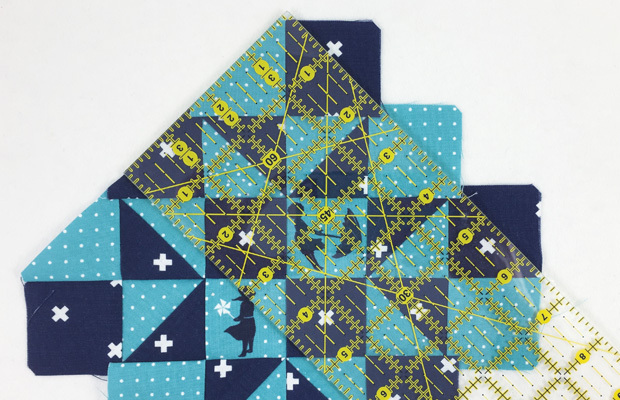 Then match up the other seams in the longer row so you have all points lined up as well. 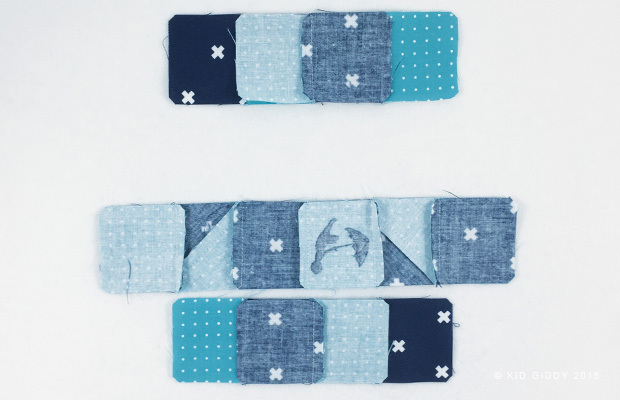 Sew the edges and press your seams. Sew the top section to the top edge of the middle section by matching up all seams, and then sew the bottom section to the bottom of the middle in the same way. Press all seams and your block. It's starting to look a little like Malvina, but we have some excess fabric along the edges we need to trim off. 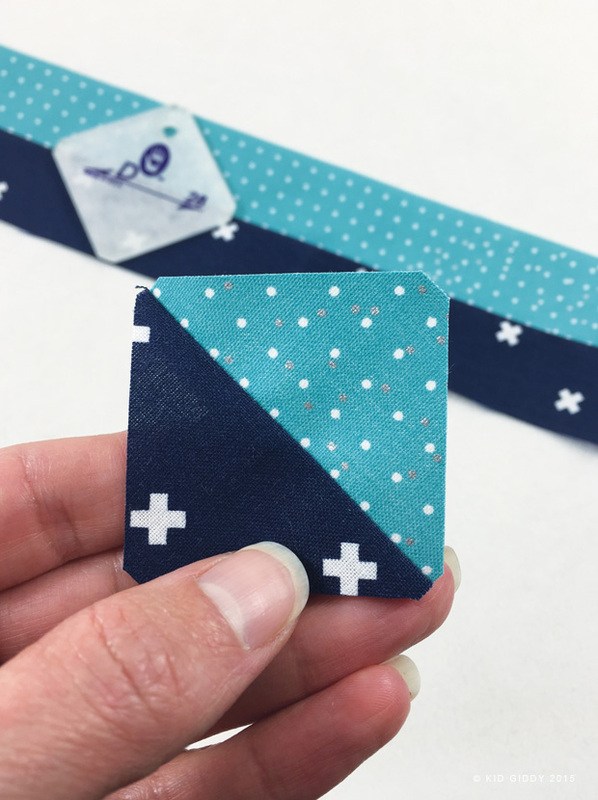 Using a clear ruler, your mat and a rotary cutter, line up the center seams with lines on your mat, and then your ruler 1/4" away from the points on each of the edges. The 45* angle works too - just know mine looks a little wonky because of my quick placement and the camera angle. Trim off all four edges, checking each time that your block is going to be 6 1/2" unfinished and that you aren't cutting off too much. Now that you are done, save the scraps for something fun and move onto the next block with all the time you just saved on Malvina. If you want to join in on the fun, you can find Angie's Malvina tutorial on her website Gnome Angel, as well as grainline tips from Marti on her blog. 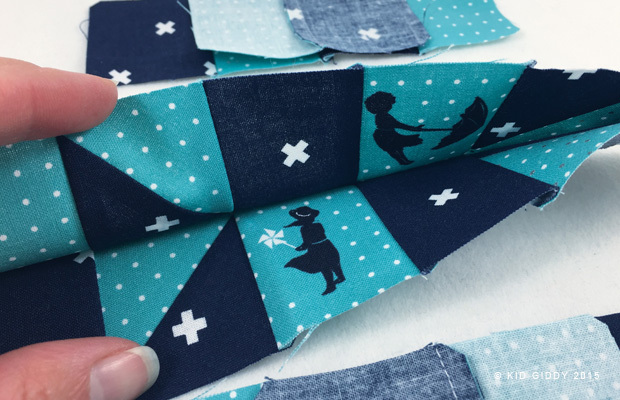 You can get the book and all your fabric needs from The Fat Quarter Shop (Angie got to put together a big Farmer's Wife fabric bundle just for this sew along), and the Marti Michell templates from Marti's website! Have an awesome day, and thanks for stopping by. To be notified of all the latest and greatest - sign up for my emails below and find me @kidgiddy on Instagram for all my daily happenings. Disclaimer: Because I am a blogger in this quilt-a-long, I graciously received a copy of the Farmer's Wife book and gift card from the Fat Quarter shop (yes I picked up more Cotton and Steel fabrics for my quilt) as well as a full set of templates from Marti Michell. The links above are not affiliate links - because my state won't allow that. The opinions as always, as well as the tutorial and photos, are all my own. 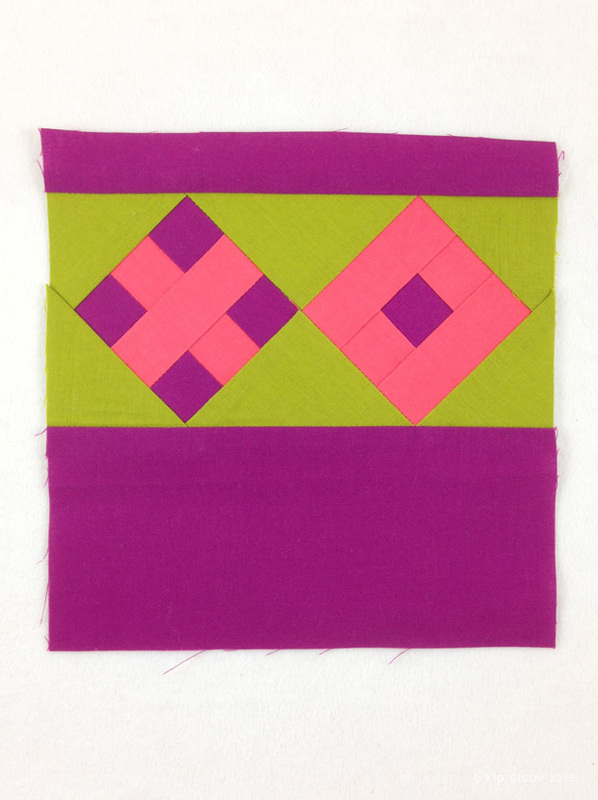 My first block is up today on the Janome site and Michael Miller Fabric social media sites. This "Preppy Love" block (download the block pattern here) was designed specifically for the Janome 100 quilt blocks in 50 days. The Preppy Love block, as I ended up calling it, was just a play on the X and O, but also the color palette. I'm not sure what inspired this one. I started putting some lines in my EQ7 program to mimic a pattern in a chair I had seen recently. It wasn't working for the size requirements for this project, so I kept playing and got the X and O while coloring it all in. Once I colored it, it looked a little preppy to me. In traditional pink, white and red colors, this would make a great valentine quilt or pillow, but during other times of the year...in different colors - it won't read as "love" so heavily. When sewn to the quilt, they actually put it sideways, but I placed mine upright so they are side by side. 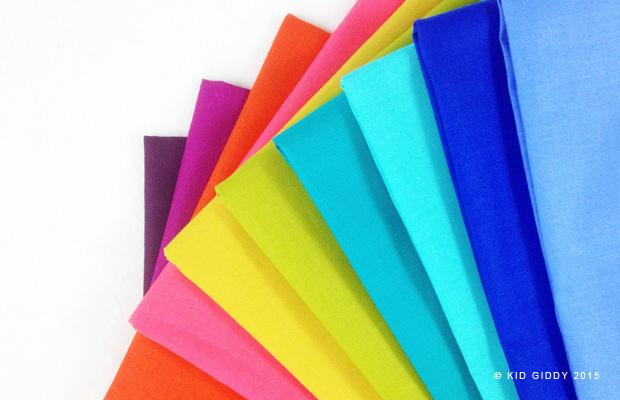 We were given this range of Michael Miller Cotton Couture Solid fabric colors to work with and instead of using them all at once - I decided to split them up and use specific colors. One block became a cool color palette, and the other a warm color palette. Aren't these colors amazing? The colors were vibrant beautiful and so fun to play with. 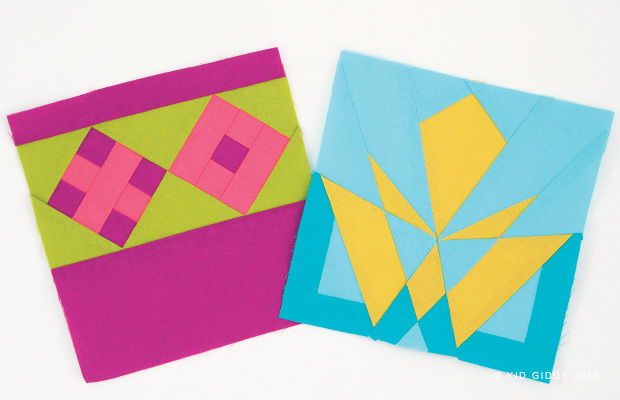 I hope you'll enjoy making this paper piecing block and you'll share your variations with me. Please tag me on IG @kidgiddy so I can see them. 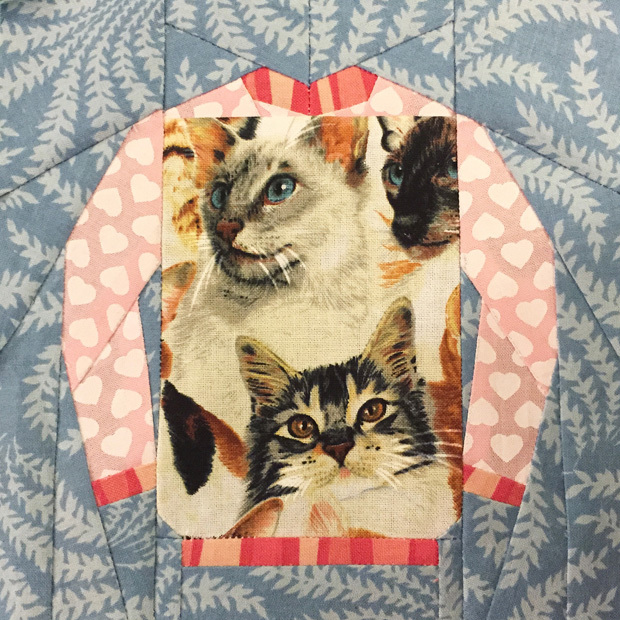 I planned on having this post up before leaving for quilt market - but that just didn't happen since I was still sewing details until the wee hours of the night and mornings even once arriving in Houston. Since being home - I've caught up a little on all that missed sleep. I probably could use more. 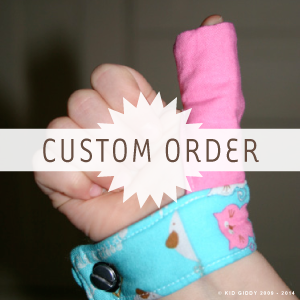 I'm so excited to announce my Fall 2015 Kid Giddy dies with Sizzix. I know I shouldn't pick favorites because I love them all - but I can't help be excited for my little Fox. 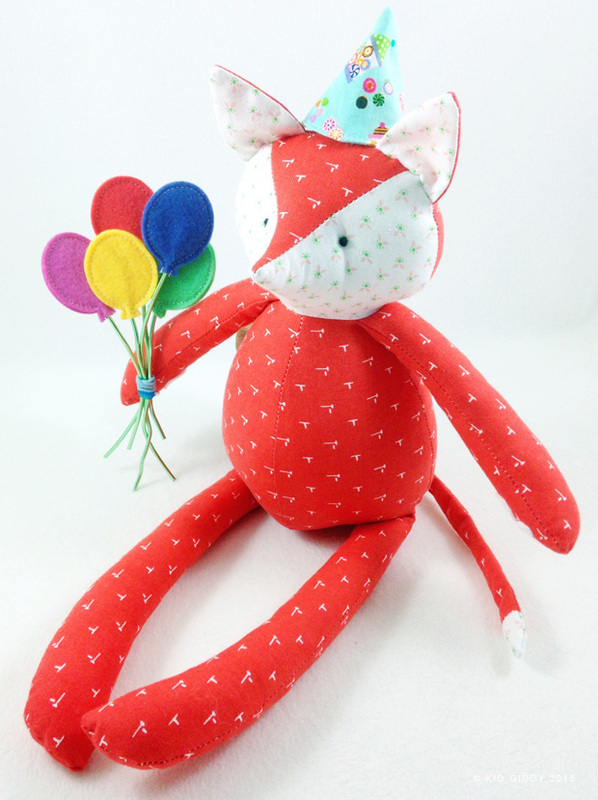 This Party Fox is ready with some balloons, a party hat and even a little star, for any birthday party or celebration. I have a little secret about this one...which is why I'm so excited about it...you can mix and match the Fox parts with the Kid Giddy Doll die. So if you want a doll with a bigger belly for a Santa...use the body of the fox and all the other doll pieces. If you want to sew with kids, the Fox arms & legs are easier for kids, because they have less curves to sew and are easier to stuff. 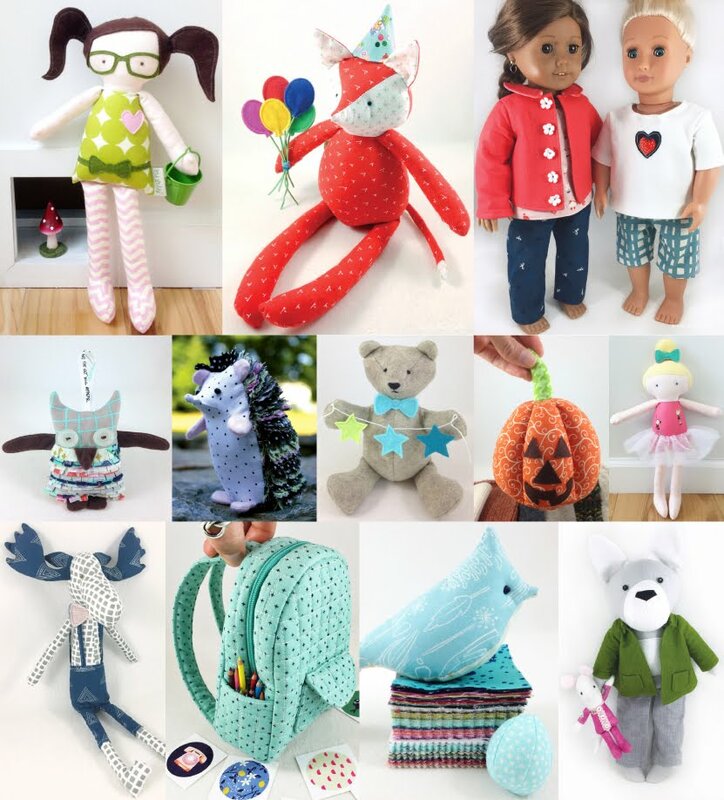 I wanted to give you more bang for your buck and give you tons of options to really make your own unique doll. 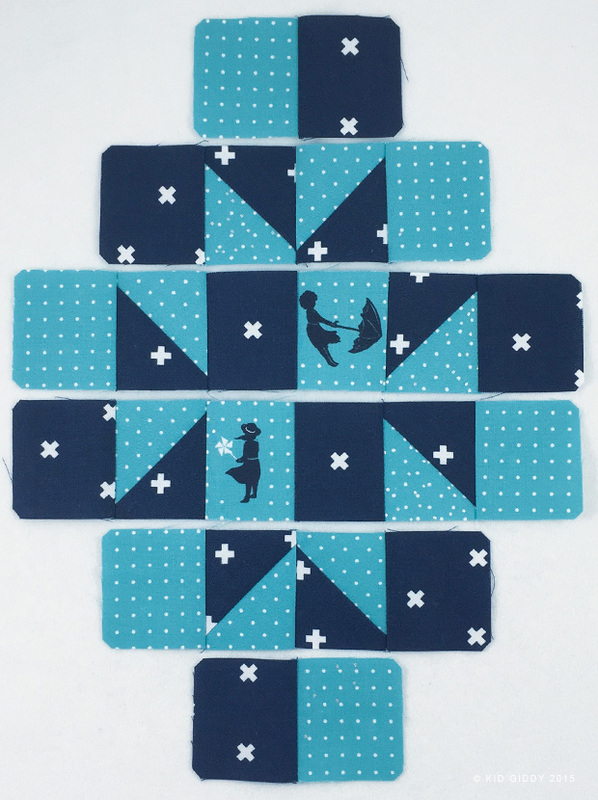 I've also introduced a little tufted Bird die that comes with a little panel to make tiny eggs. 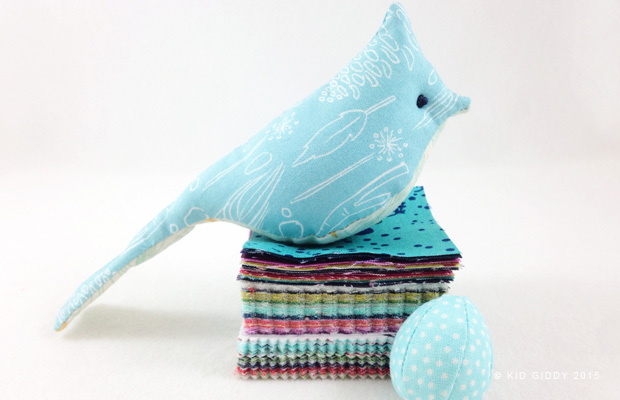 The Bird can be made to sit in a nest or on a shelf, or add a ribbon to hang as an ornament or in a fun mobile. It's great for any holiday, and for any occasion or no occasion at all. 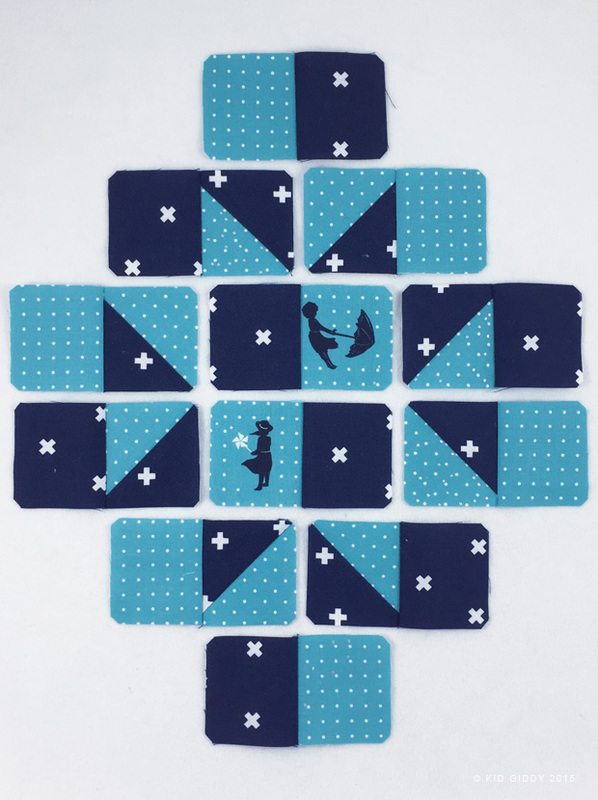 Last but not least is the Bear die that works perfectly with most fabric choices including Wool Felt blends, Quilters cotton, cuddle fabrics and many others. 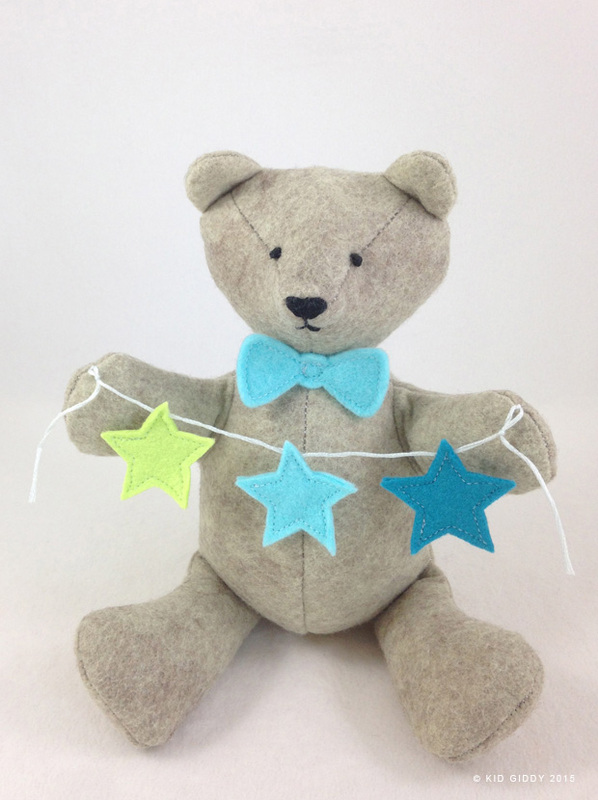 The Bear comes with a variety of little extras for personalizing, including a heart, bow (for a bow tie or hair bow), baby rattle and a star. If you use a crazy awesome fuzzy fur fabric, you can get a little fella that resembles a baby wookie or ewok. 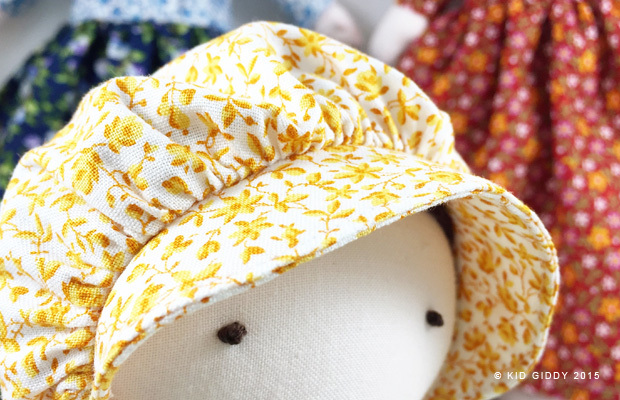 I have been working for weeks and weeks on some special Little House on the Prairie Dolls using Andovers Little House on the Prairie fabrics for their Quilt Market Schoolhouse Premiere. It was quite a special weekend for me and I'll be photographing each doll and sharing the whole experience soon. Here's a sneak peek...but if you can't wait...hop on over to my Instagram feed for more pics. I was also very excited (and busy) sewing with some of the Mendocino fabric from Heather Ross that Windham Fabric is reprinting. 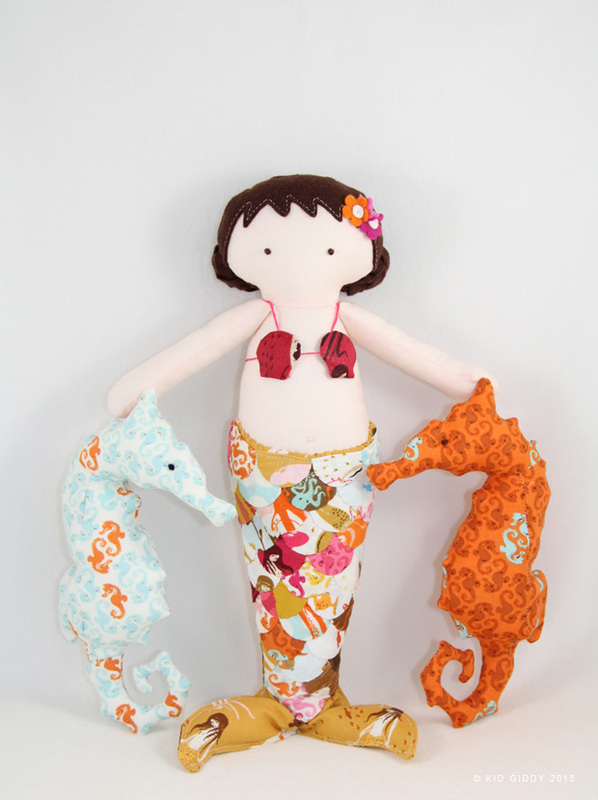 I made this sweet Mermaid, some little seahorse friends, as well as an octopus, all which hung at market in her booth. Her belly button probably got the most attention. lol. I'll be sharing more about how I made her soon. Well that's my quick recap for now - again I'll have more info for everyone soon regarding all the Mermaid tail piecing, the Octopus and Little House Dolls. 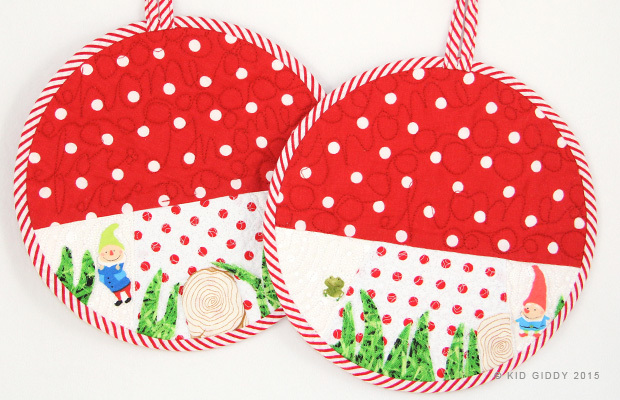 I'm over on the Sizzix blog today showing you how to make these really easy mushrooms with various Sizzix circle die cut sizes. 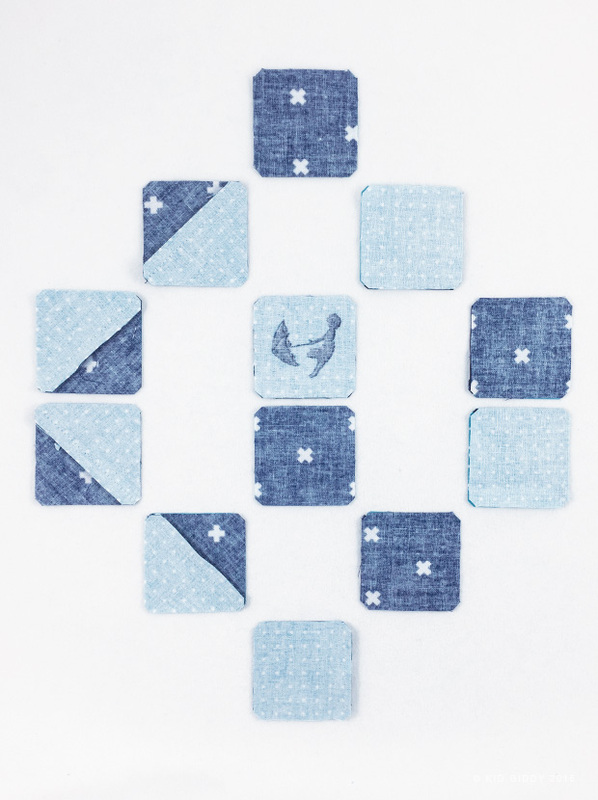 You can customize them any way you'd like, to make coasters, decorative tea towels or hot pads. I made this entire set for my swap partner when I hosted the Gnome Swap on instagram. She asked for something "gnomey" for her kitchen, and I just couldn't resist. 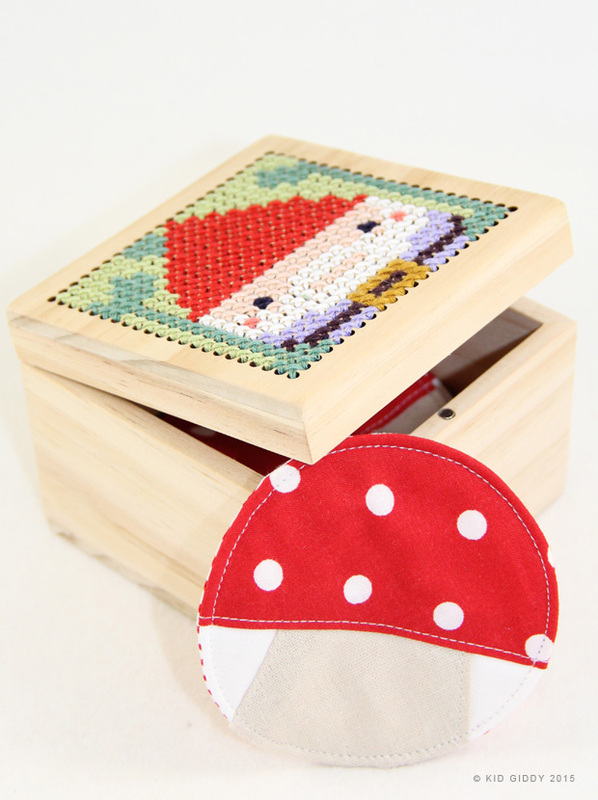 The coasters fit perfectly in this little cross stitch box I picked up at Target. They finish at 3 1/2" wide. 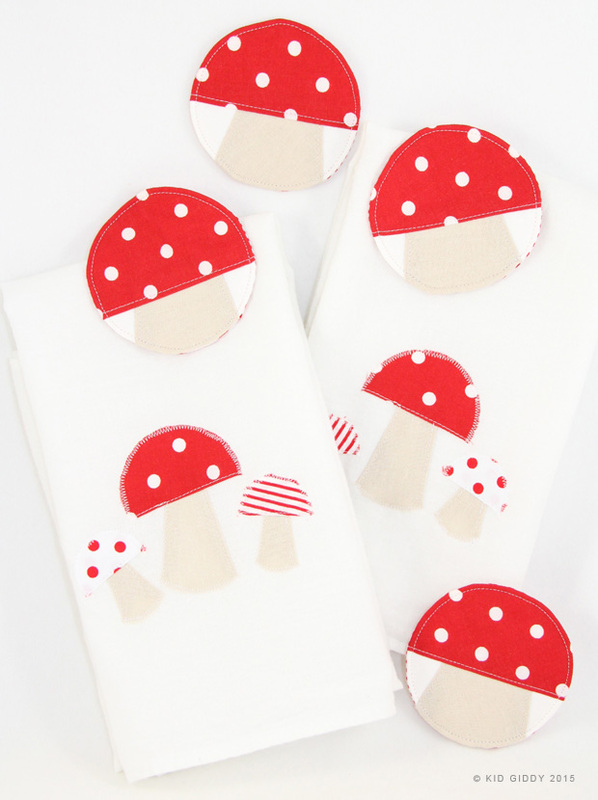 If you want to make a cute and simple tea towel or bar towel set, do a little needle turn applique or make it quicker with raw edge applique as I did. 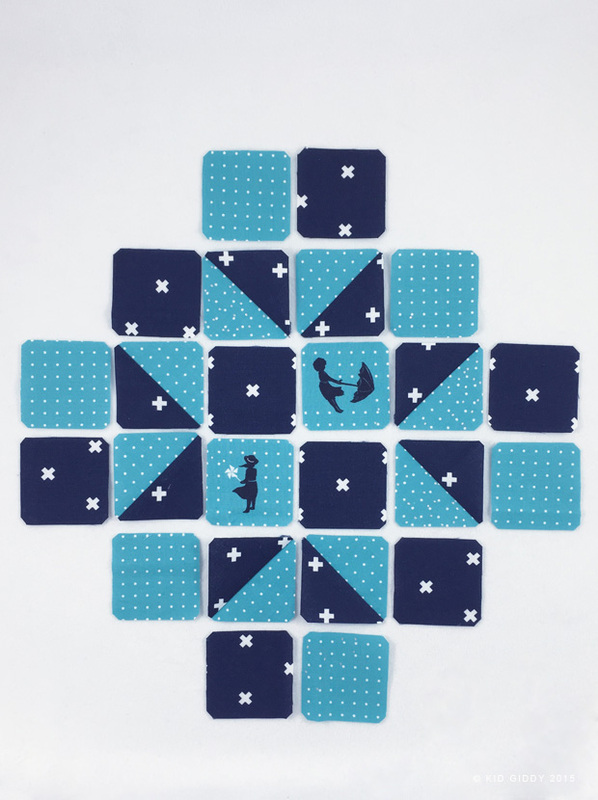 To make a set of hot pads - make them as quick and easy as the coasters, or treat them like mini quilts and add some fun quilting and of course binding around the edge. Check out the tutorial over on the Sizzix blog and share your #kidgiddy mushrooms with me on Instagram or Facebook! Thanks for stopping by. For more info about my dies with Sizzix, check out the Sizzix Website and watch my videos on You Tube. To get the kid giddy inside scoop before everyone else - sign up for my newsletter below. Have a great weekend.